After a dip to $12m last weekend, cinema takings rebounded 25% this week with the top 20 movies accounting for $14.91m. Driving the rise in revenues was Fifty Shades Darker, which performed in all metrics. It might not have been a record-breaking opening, but with Fifty Shades plus ongoing hits Lion and Split, the top three movies accounted for $10m of the total of just under $15m. The sequel to Fifty Shades of Grey opened on 612 screens, which is one of the biggest openings we have seen for some time. The last movies to fill more screens were Rogue One: A Star Wars Story and Fantastic Beats And Where To Find Them. 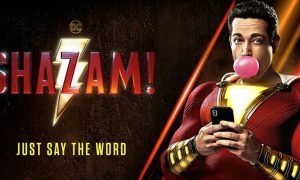 With over $6m on its opening weekend the movie joins a fairly select bunch with just a handful of movies doing $6m or better in the past six months. A bit of schoolboy math and you might have already calculated the Fifty Shades screen average must have been just over $10,000. The film snagged some more awards this week at the BAFTAS (UKTV tonight on a 36-hour delay) and that awards momentum continues to pay off at the box office. Takings were down only 20% this week with its haul to date past $20m by the time we publish this. The film should make its mark on the all-time top 10 Australian box office sooner than we thought. If Lion cracks $22m, which it should do from here, the movie will sit at #8 on that list, pushing Red Dog out of the 10. Lion this weekend still boasted a very healthy screen average of $8,734. 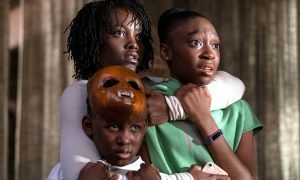 The movie from M. Night Shyamalan had a screen average just under $7,000 with it set to pass $10m to-date in its third week. After the top three the takings start to drop dramatically with Patriots Day down 40% in its third weekend. The film will pass $2.5m to-date before this week is over. After a remarkable seven weeks in release the movie hangs in the top five where half a million was enough to make that club this week. Screen average dipped just under $2,000 from the 274 screens still showing the musical. It should pass $18m some time this week and $20m still looks realistic it it can hang on a few screens until the Oscars. Manchester By Sea remains on just 57 screens, but it has been doing good business in those cinemas with a screen average of $7,215, which trails only Fifty Shades and Lion this week. Rogue One: A Star Wars Story remains on the chart at #15 and should tick over $51m this week. To move to #6 on the all-time box office Australia list it will need $52.7m to unseat Harry Potter And The Deathly Hallows: Part 2.